The Fort Lauderdale Real Estate market is certainly showing signs of a come back, and as it does we need to remind buyers there is only so much beach front in the Fort Lauderdale Real Estate market. As we enter a new Fort Lauderdale real estate market , a more balanced one, special places like the city of Lauderdale-by-the-Sea stand out. With tight control on over development we want to bring your attention to Villas of the Sea, one of very few new developements in the area. 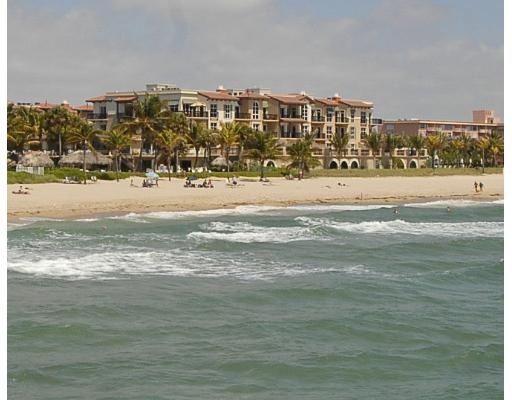 Read more about Villas of the Sea in Lauderdale-by-the-Sea, Florida. This photograph says it all, Villas of the Sea is a low rise enclave of very special homes. Two buildings of the originally planned four have been built, one on the ocean, and one across the street on El Mar Drive. As the two buildings are close to being sold out, plans are starting to surface for the two remaining pieces of land. Condos in the ocean front building have sold for over $1,000,000 while in the building across from the ocean there are three bedroom units with partial ocean views in the $700,000 range. The property is pet friendly, has a great ocean front pool and health club. Excitment is building as plans for the remaining homes will be released later this year. The plans have changed based on the change in the real estate market and we expect the remaining homes to represent a great value in this market. Eric Miller and Associates are always on top of the changes in Fort Lauderdale Real Estate and in neighboring cities such as Lauderdale-by-the-Sea, if you want to be in the know contact us today. At Eric Miller and Associates, "We're here to help" with your next Villas by the Sea purchase or sale. Contact us directly at (954) 383-8170.